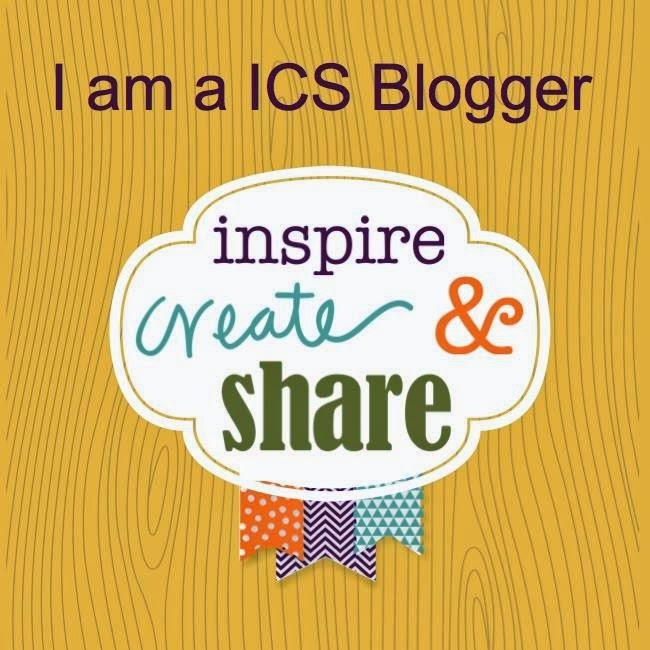 Blog Hop time!! Oh My!! What shall I do? My daughter got the paper plate/napkin set below from Costco. That was my inspiration for my card design. But what stamp set and papers should I use? Well, the June Paper Pumpkin kit came the very next day and answered all those questions for me. 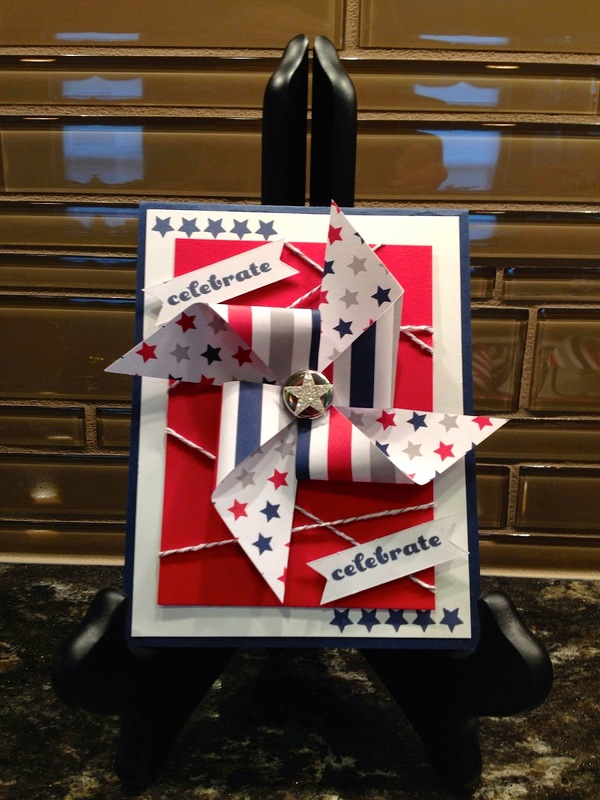 I used only what was in the kit with the addition of night of navy, real red, and whisper white card stock. I also made out the invitations with left over material. What a great deal Paper Pumpkin kits are - and only $19.95. I did use the star bunch from the new Itty Bitty Accents Punch Pack, and the new Silver Glimmer Paper for the star on the big brad. This card could be used for many different occasions. Hope you enjoyed it. Thanks for stopping by. Now hop on over to see Olivia's creation by clicking on the icon below. Here are all the links for our blog hop members. CUTE CUTE CUTE! Love it. Did you see my card...we are on the same page! I like yours better though! 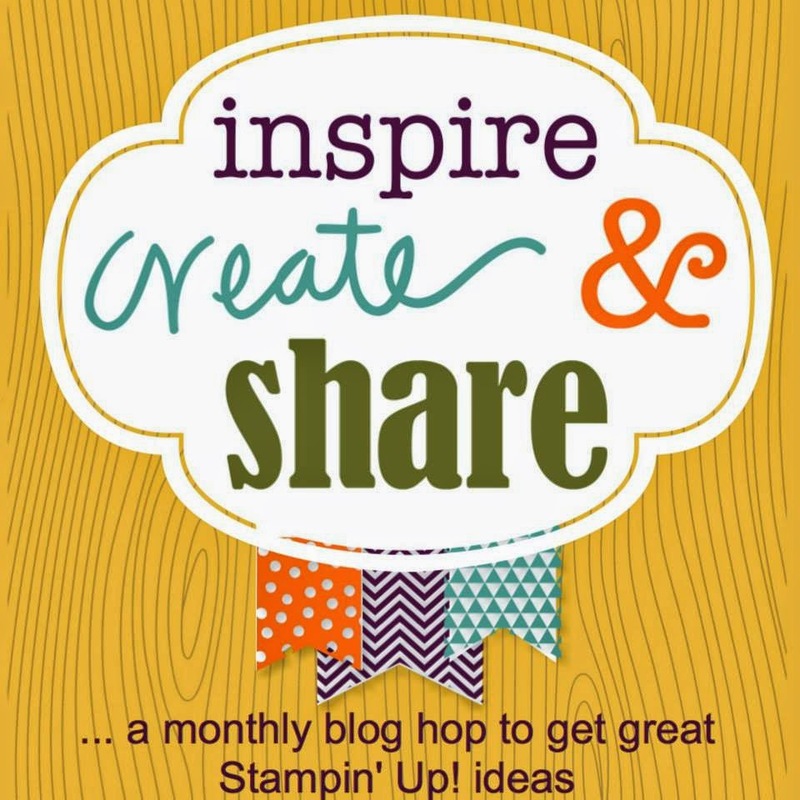 Perfect blog hopping this month too! YEAH! Thanks for participating! 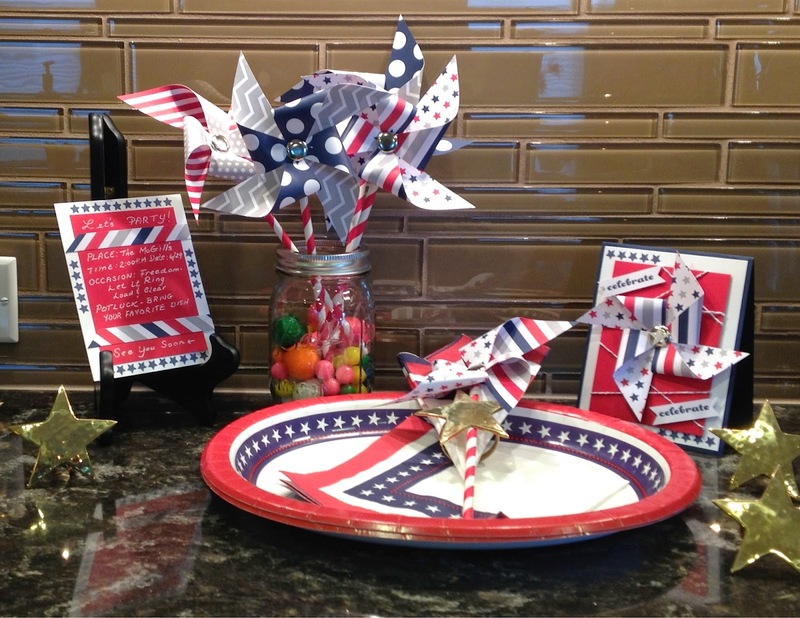 What a great party set your were able to make with the July Paper Pumpkin!